Below you fill find all funeral homes and cemeteries in or near Willow Springs. Suburbs of Willow Springs: Willow Spgs. Zip codes in the city: 65793. Some of the notable people born here have been: (red murrell), (bob ferguson (musician)), (ward haylett), (orland k. armstrong), and (wendell bailey). It was revealed by Topeka Capital-Journal on March 13th, 2019 that Thomas Albert Bass died in Topeka, Kansas. Bass was 93 years old and was born in Willow Springs, MO. Send flowers to share your condolences and honor Thomas Albert's life. It was written by Register Guard on October 10th, 2018 that Elma Justine Benedick (Perkins) died in Eugene, Oregon. Ms. Benedick was 83 years old and was born in Willow Springs, MO. Send flowers to share your condolences and honor Elma Justine's life. It was noted on July 30th, 2018 that Jim L Sloan passed away in Willow Springs, Missouri. Sloan was 71 years old and was born in Kingman, KS. Send flowers to share your condolences and honor Jim L's life. It was written by Peoria Journal Star on April 18th, 2018 that Donnie Alvin Daugherty died in East Peoria, Illinois. Daugherty was 80 years old and was born in Willow Springs, MO. Send flowers to express your sympathy and honor Donnie Alvin's life. It was written by Peoria Journal Star on September 16th, 2017 that Ron Smith passed away in Washington, Illinois. Smith was 70 years old and was born in Willow Springs, MO. Send flowers to express your sympathy and honor Ron's life. It was revealed by Kearney Hub on June 13th, 2017 that Mary E Brammer (Blevins) died in Kearney, Nebraska. Ms. Brammer was 73 years old and was born in Willow Springs, MO. Send flowers to express your sympathy and honor Mary E's life. It was revealed on May 10th, 2016 that Betty M Letheby (Hansen) passed away in Rochelle, Illinois. Ms. Letheby was 92 years old and was born in Willow Springs, MO. Send flowers to express your sympathy and honor Betty M's life. It was reported on May 10th, 2016 that Betty M Letheby (Hansen) died in Rochelle, Illinois. Ms. Letheby was 92 years old and was born in Willow Springs, MO. Send flowers to express your sympathy and honor Betty M's life. It was reported by Peoria Journal Star on December 17th, 2015 that Laura Bell Hamby (Hawkins) passed away in Congerville, Illinois. Ms. Hamby was 81 years old and was born in Willow Springs, MO. Send flowers to share your condolences and honor Laura Bell's life. It was reported on November 4th, 2015 that Cora Virginia Wilkens (Moore) passed on in Leoti, Kansas. Ms. Wilkens was 98 years old and was born in Willow Springs, MO. Send flowers to share your condolences and honor Cora Virginia's life. The population was 2,147 at the 2000 census. 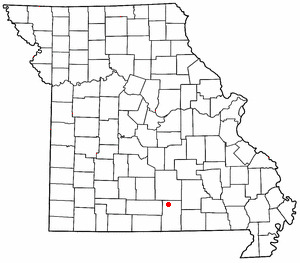 Willow Springs is a city in Howell County, Missouri County, Missouri, in the Ozark Mountains of the United States. . . .
Willow Funeral Home, Willow Springs, MO : Reviews and maps - Yahoo! Local, 417.469.3141. Get Ratings, Reviews, Photos and more on Yahoo! Local. Here are the results for funeral homes in Willow Springs Missouri. You can find some of the best funeral homes businesses serving Willow Springs. Gilmore, Andrew - Willow Funeral Home, Willow Springs, MO : Reviews and maps - Yahoo! Local, 417.469.3141. Get Ratings, Reviews, Photos and more on Yahoo! Local. Find BBB Accredited Funeral Directors near Willow Springs, IL. Your guide to trusted Willow Springs, IL Funeral Directors, recommended and BBB Accredited businesses. We work with local florists and flower shops to offer same day delivery. You will find budget sympathy flowers in Willow Springs here. Our funeral flowers are cheap in price but not in value.